The first round of the Deutsche Kart Meisterschaft 2018 took place at South Garda Karting. 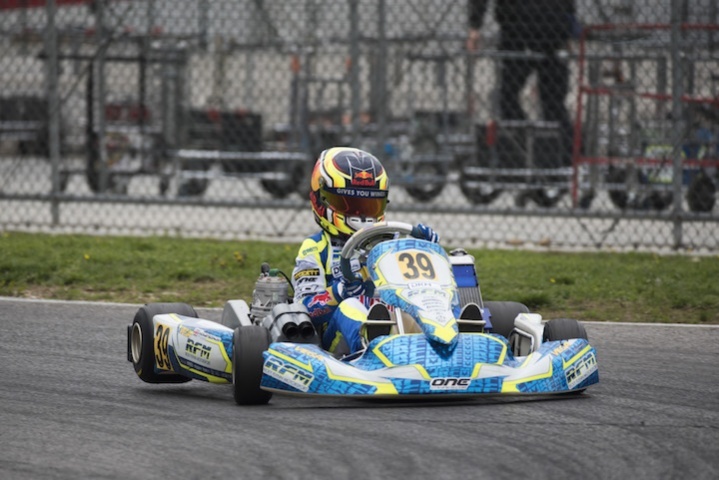 Last weekend the Lonato circuit was the scene of the first appointment of the Deutsche Kart Meisterschaft, the German championship that for some years now has made a name for itself as the most popular national series in Europe. On the Brescia track there was a record number of 180 drivers in 4 classes which, considering the absence of the minikart class, traditionally the category with the most consensus of all at the national level, can already be considered a record. DKM - By 66 thousandths of a second Harry Thompson (FA / Vortex) beat Hugo Sasse (KA / Iame) and Nicklas Nielsen (Tony Kart / Vortex) in Race 1. To complete the top 5 slots were Junior champion Kas Haverkort ( CRG / TM) and Andrea Rosso (CRG / TM), first of the Italians. Thompson then took a double victory, bringing home the winner's cup in the afternoon race. Here, Sasse, previously 2nd, finished third behind the Dutch Tijmen Van Der Helm (Tony Kart / Vortex). Fourth and fifth to Zane Maloney (FA / Vortex) and Marius Zug (KR / Iame). Plenty of upsets during the race, with success initially going to Nielsen, then excluded for being underweight at verification. General classification sees Thompson in the lead with 58 points, two more than Sasse. DSKM – Thanks to his participation in the European KZ or not, one thing is certain: Pedro Hiltbrand (CRG / TM) with the gear-driven kart is at least as strong as the Pedro Hiltbrand we know in single-drive. The winner of the 2016 KZ2 Super Cup won Race 1, putting behind Cristoph Hold (Maranello / Modena), Fabian Federer (CRG / TM) and Jorrit Pex (CRG / TM). 5th Alexander Schmitz on Tony Kart / Vortex. In Race 2, Daniel Stell gave the Mach1 brand, motorized TM, its first triumph of the year. The other two spots on the podium were a family affair with Stan Pex beating his old brother Jorrit Pex. Kristijan Habulin (TB / TM) and Emil Skaras (Energy / TM) close the top five. In the general, Jorrit Pex leads at 46, one point ahead of Stell. DJKM - After his success in Margutti, Enzo Trulli (CRG / TM) makes his claim as Lord of Lonato by taking home the victory in the day's first race. Behind him, the Briton Kai Askey (FA / Vortex), Maksim Soldatov (Tony Kart / Vortex), Mikkel Højgaard (Kosmic / Vortex) and Francesco Pizzi (BirelART / TM). In the afternoon Askey and Zak O'Sullivan finish one and two for Ricky Flynn Motorsport, followed by Alfio Spina (CRG / TM), Edoardo Villa (TB / TM) and Leonardo Bertini Colla (CRG / TM). Askey leads the general ranking, two points ahead of Enzo Trulli. Finally, in DSKC, Emilien Denner (Kali / TM) dominates, grabs two wins to fly to the top of the championship.